Strong and stylish, this Snopake DocBox is made from heavy gauge polypropylene that is welded for extra strength. A cutaway front provides easy access with a push-lock clasp to keep contents secure. Suitable for A4 filing, the box also features a business card holder. This pack contains 5 A4 box files with a 25mm capacity. 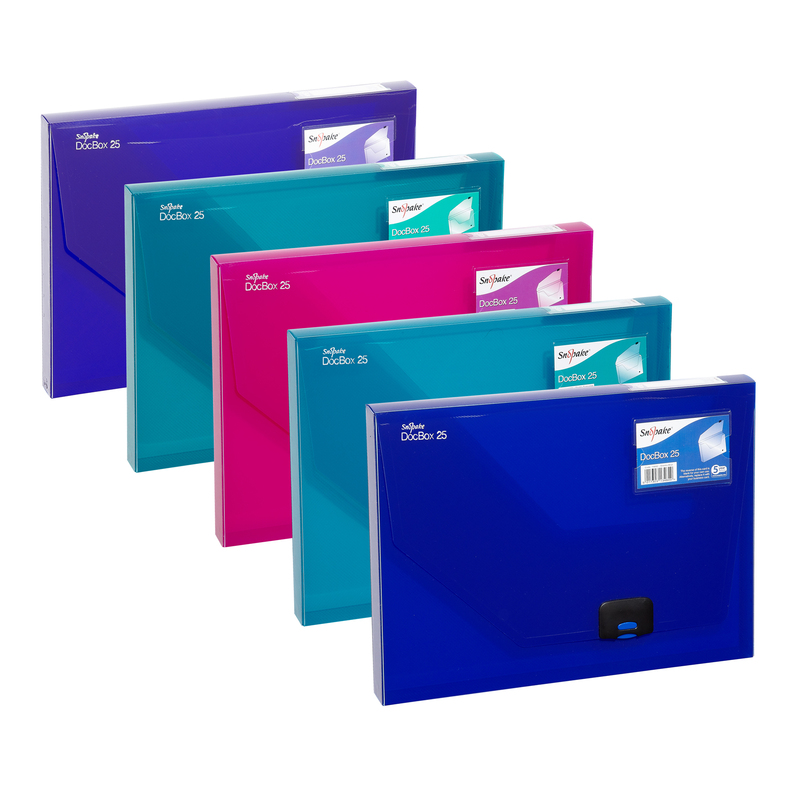 These files come in assorted, bold Electra colours, including blue x2, green, purple and turquoise.